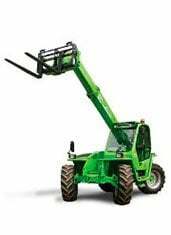 Front stabilisers, frame leveling, and a perfect steering system are the perfect words that describe the Merlo 40.17 telehandler. Enjoy choosing from the wide range of options. Can be hydraulically operated from the cab for extra comfort.